What an amazingly powerful handheld Fruit, Vegetable, and Meat chopper, one pull chops 24 times! Unlike the other "choppers" with 2 square blades, these are redesigned sharper blades and includes 3 blades instead of 2. Make salsa in 30 seconds or less! Easy to clean and bowl is dishwasher safe. 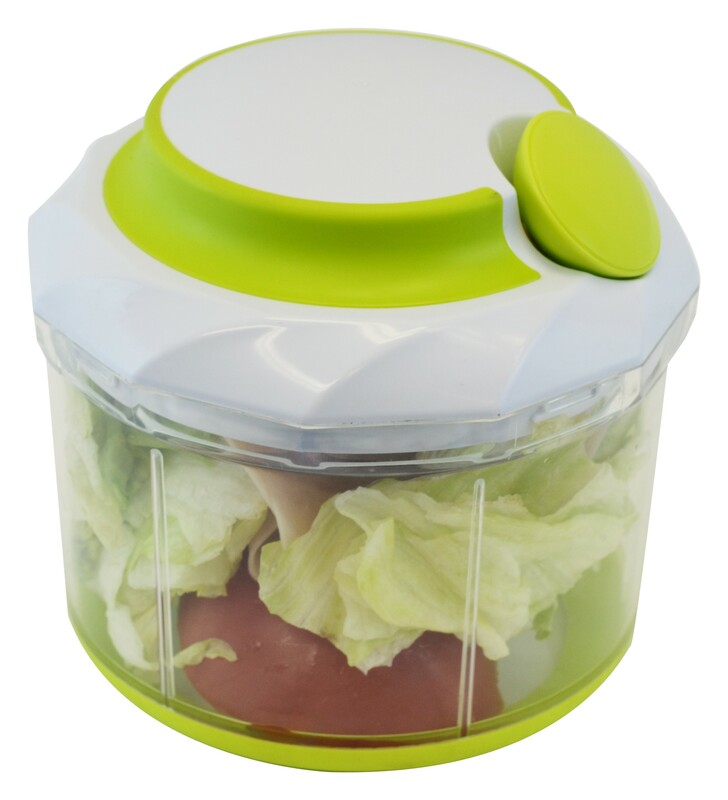 Just pull the cord and chop away, great for: Vegetables, Fruits, Salads, Nuts, Meat, Guacamole, Salsa, Hummus, Pesto, etc. Holds up to 36oz (1050 ml) of liquid or 4.5 cups.